In a 38th session of the UN Human Rights Council held in Geneva on June 27, Doudou Diène, chairman of the Commission of Inquiry into Burundi has said human rights violations committed in Burundi have been fostered by “a continuing climate of threats and intimidation”. “I regret that Burundi persists refusing to cooperate with the commission, which would make it possible to include the government views in the final report,” he says. He also regretted that the government had not consented to the resumption of the activities of the Office of UN High Commission for Human Rights which was suspended in 2016. The commission accuses the ruling party’s youth league -Imbonerakure of being the main cause of the abuses committed during the recent referendum campaign. “The commission of inquiry has received testimonies of numerous arrests of people who called to vote “no” in the referendum or refused to join the ruling CNDD-FDD,” says Françoise Hampson, one of the members of the Commission of Inquiry into Burundi. Ms Hampson says the Commission also got reports of persons executed or abducted because they belong to opposition parties or did not want to join the ruling party. She also expressed concerns about cases of dead bodies which are still found in different localities. “Individuals in police uniforms or identified as National Intelligence Service agents or members of Imbonerakure youth wing are usually reported in those acts”. She also says no serious investigation has been conducted by government authorities into these cases. Renovat Tabu, Burundi Ambassador to Geneva says the report presented shows the excessive zeal and manipulation that characterize this commission. He also says the subjective language used and the content of this report deviate from the quality of a scientific and objective work that should be the result of a seasoned lawyer who claims to be the chairman of this commission. Renovat Tabu says the members of the commission have no right to interfere in the socio-political organization of another country. 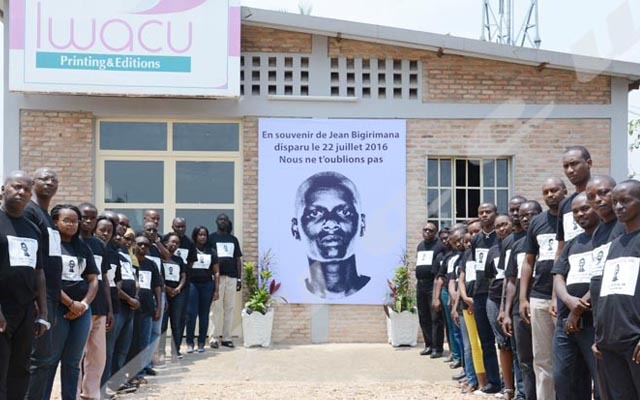 The Commission of Inquiry into Burundi had been established by the UN Human Rights Council following the crisis that broke out in Burundi in 2015. It will present its final report in September 2018.